This level has medium difficulty. 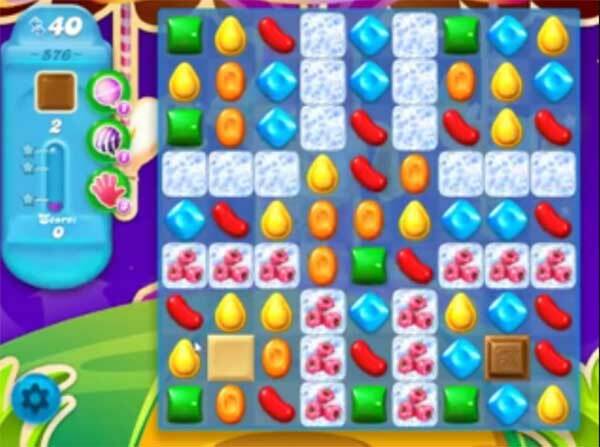 For this level try to play from the bottom to shuffle the candies and play near to blockers. Make special candy and combine with other special candy to break all chocolates within 40 moves. I just started this level and already I don’t like it. I hate the ones where you have to eat the chocolate. Because I clear it off and it fills back up. Stop making it that way. And play from the bottom, not always possible.